An elegant acrylic award with additional angled cuts providing a modern design. 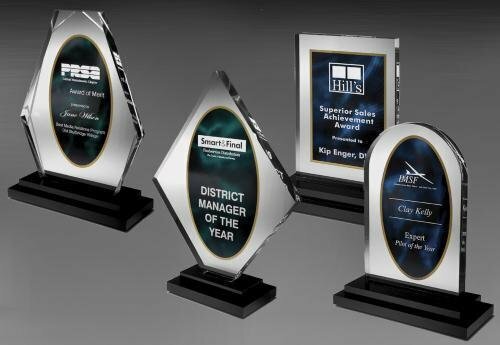 This acrylic award is available in three sizes and available in three colors providing a truly beautiful acrylic award presentation. Available in Jade or Sapphire color. Full color imprinting available as an optional imprinting method for this acrylic award. A Stunning acrylic award with height portraying an offset diamond shape with multi-facet cuts. 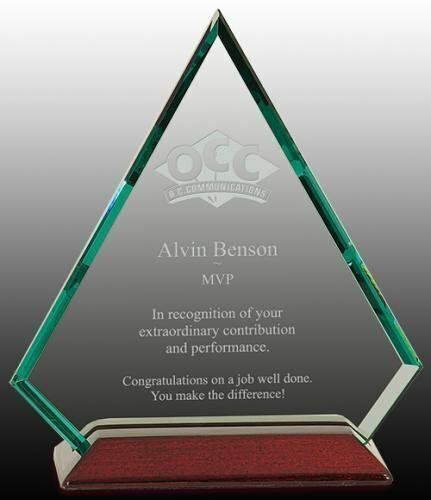 This acrylic award is a beautiful design excellent for almost any presentation occasion available in four sizes. With reverse laser engraving on the backside, this acrylic award has depth and perception. Full color imprinting available as an optional imprinting method for this acrylic award.